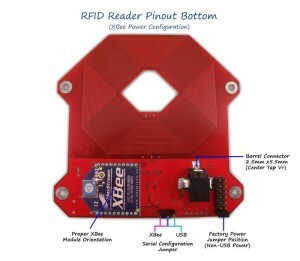 New OEM/Hobby RFID reader is available. Projects kit soon to follow! Well the day has finally come! I’ve been collaborating with Robotics Connection for some time now, donating my time and experience to put together a new kick@ss RFID reader geared for OEMs, DIYers, and home hobbyists. Great range, even with 3×13 and 2×12 glass tags! Plug and play wireless XBee module support! This reader is by far the best EM41xx family reader out there, especially for the price. One very interesting feature is the XBee wireless communications option. 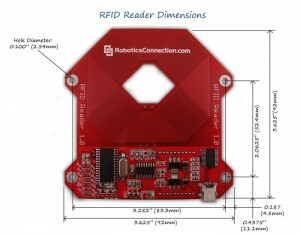 Using XBee modules, you can set up an encrypted wireless data channel for one or more RFID readers to communicate on. 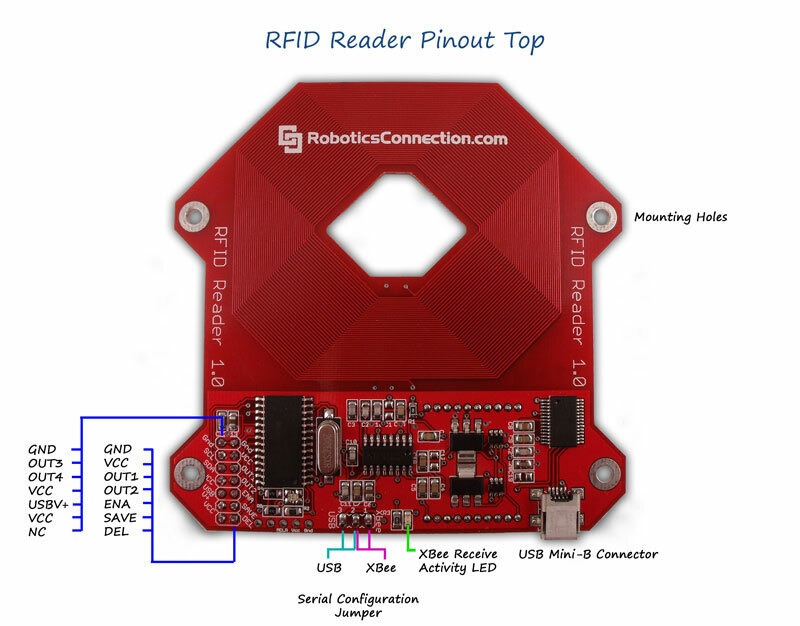 The reader has a special COM protocol that can be turned on to allow multiple readers to all communicate on the same XBee PAN, allowing a PC to talk to and manage multiple readers at once using a single COM channel. Now that the hardware is available, I’m in the process of working with Trossen Robotics to put together a new set of project write-ups that use this great reader, including the long awaited Vista/Windows 7 RFID login project (32/64 both supported! [peek]). I will be posting once the kit is available, but for now you can pick up a reader or two and start playing! This entry was posted on Wednesday, March 10th, 2010 at 9:56 am	and is filed under Adventures in RFID. You can follow any responses to this entry through the RSS 2.0 feed. You can leave a response, or trackback from your own site. Good work amal, very promising reader geared towards hobbyists. Ill pick one up whenever my cash flow permits. When I heard about the reader RoboticsConnection was putting together, it sounded promising. Then they asked if I would be willing to offer my input and I jumped at the chance. It’s so rare you get to have influence in someone else’s project, and we really hit the ground running. By the end of it all, we worked out some really awesome features, an entirely new multi-reader communications protocol, and set the stage to create an official business relationship for future projects. Even though I don’t have an official relationship with RoboticsConnection, it was important to me to help get a new reader out on the market that is basically everything I had ever wanted in a reader. I knew others, particularly my book readers and forum members, would appreciate it too. For now, my only official relationship is with Trossen, so be sure to come back to this blog post and buy through the links! Thanks 🙂 Looking forward to it! Ordered mine (with XBee communication kit) the day after I heard about this for research, can’t wait to play with it! Good work; REALLY looking forward to your Win7 login script. Will you be offering the code open source? Amal, any chance I could quote part of this post and link to it on my own website? I have some students and friends that an administrator asked if I would introduce to the new modules you’ve made. Interesting. Especially if the range is better thatn with the previous devices. 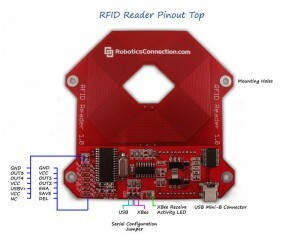 How does the reading range compare with the Phidget RFID reader (when using glass capsules)? There is a huge difference reading glass tags compared to the Phidgets. I can reliably get a good read of my 3x13mm EM4102 and users with a 2x12mm tag also report great range. I can get a good read with at least an inch between my hand and the reader, no problem. With the Phidgets I had to actually make physical contact with the reader to get any kind of reliably read at all. Is it available in Europe? Not directly however Trossen Robotics provides very cheap US Postal Service shipping to Europe. It should be much cheaper than UPS or FedEx. A very interestin project … we have RFID-Tags at many places (e.g. 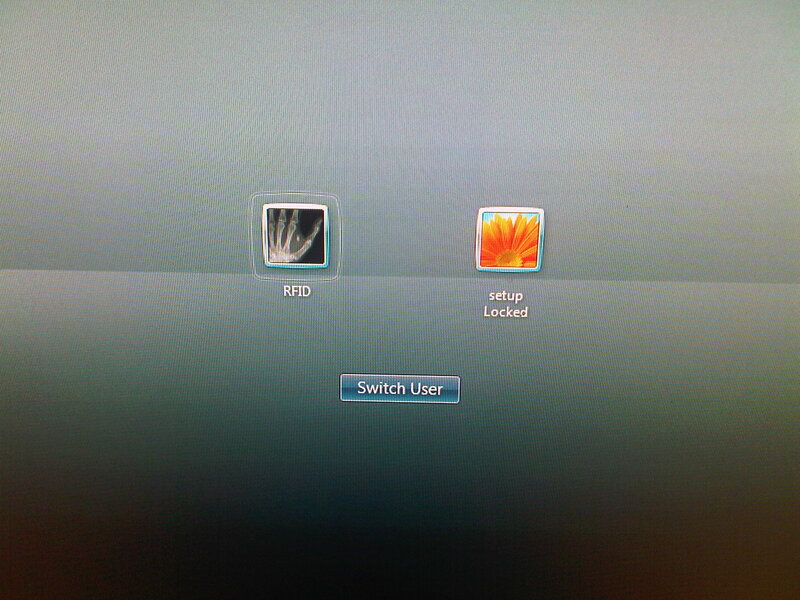 doors) and it would be really nice to realize a windows-login with RFIS, too.